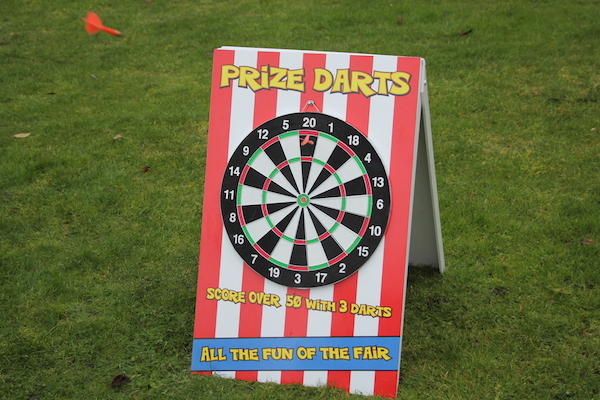 What fete or Summer fayre would be complete without a game of good old fashion darts? 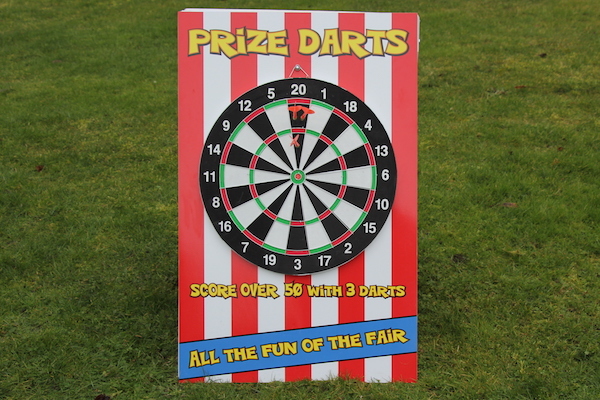 Enjoyed by children (with adult supervision) and adults, this game is great fun for players and spectators. 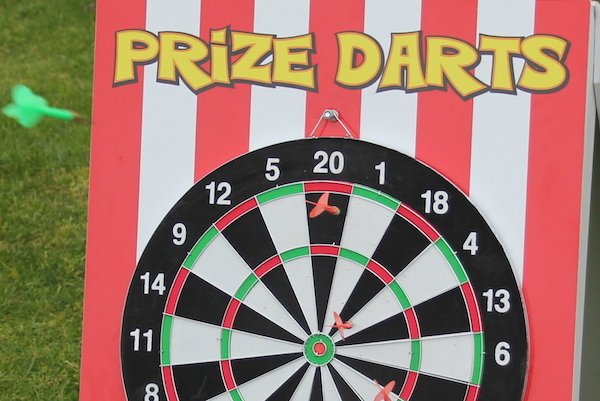 Players have to score over 50 with 3 darts to win a prize (prizes not supplied unless requested at an extra cost). 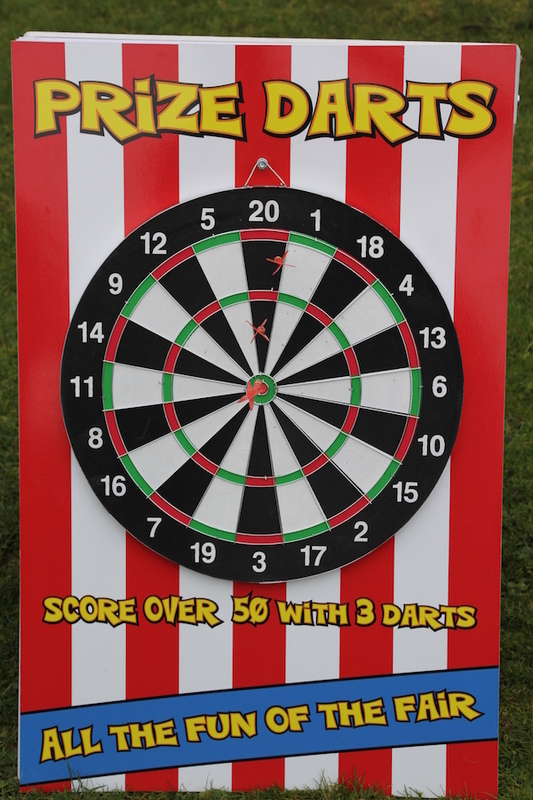 The length of the oche should be adjusted depending on the age and ability of the players. The area where the game is played must always be free of people and objects to avoid injury. 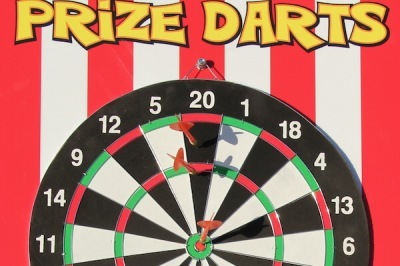 Darts is one of may side stall attractions that we have available for hire including Ball in The Bucket, Feed The Clown, Crossbow Shootout, Ring The Bull, Cactus Lasso and Splat The Rat. 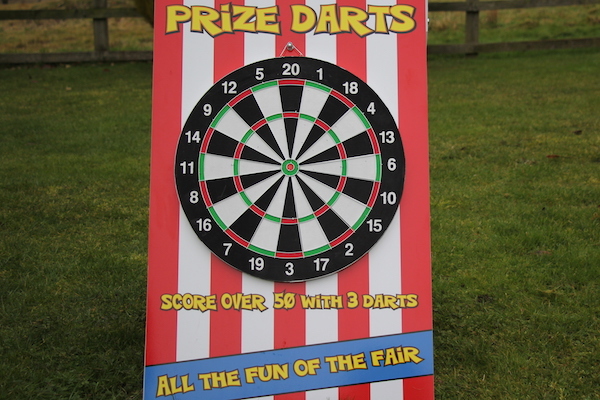 This Darts game is available to hire in Worcestershire, Herefordshire, Gloucestershire, Warwickshire, Birmingham and all areas of the Midlands when hired in conjunction with other games and inflatables. 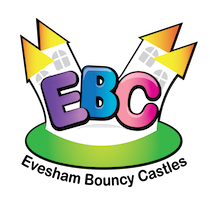 For other areas in England and Wales, please contact the office.